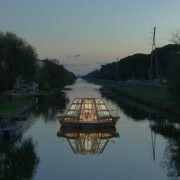 A recently completed floating greenhouse named Jellyfish Barge provides clever green space and a magical riverside glow. 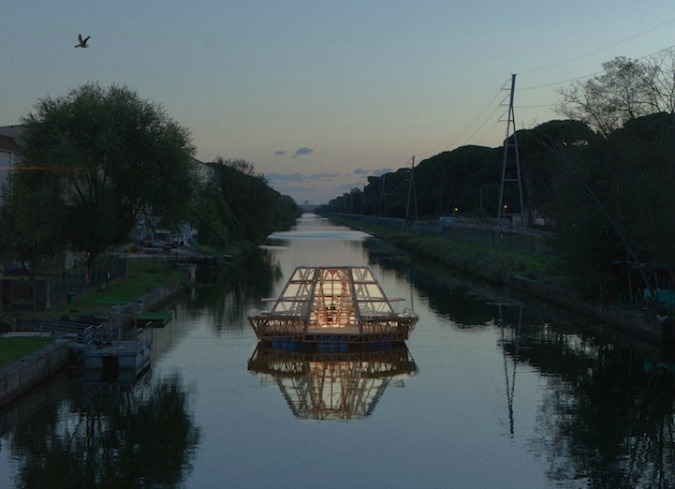 The barge’s octagonal structure is comprised of a network of floating barrels and wooden and plastic spokes. Small potted plants are held secure when slid into holes in the spokes. 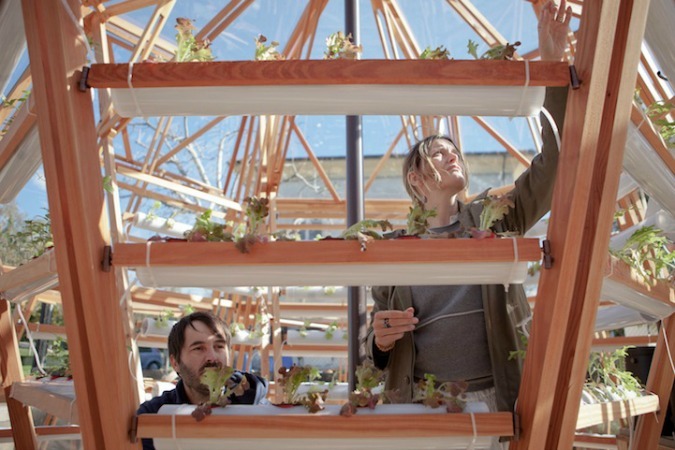 This innovative greenhouse does not rely on traditional farming resources such as fields of soil and environmentally taxing freshwater irrigation systems. It is powered by only solar, wind and tidal energy. Its raft-like nature gives city dwellers inventive space to cultivate crops and contribute positively to the community’s health. (source).